And So it Burns...: Labor Day Weekend.... What a Weekend! As some of you may know, I work in IT. I support most of the east coast for our company. What that means is that I am on call 24/7 for the most part. I get calls and emails all weekend long. Some I have to respond to right away, most can wait til my next work day. I ended up cutting it short so I could get there on time. Hopped in my car and headed to work.... you can tell by my pace (after mile 7) that I was rushing to get back. 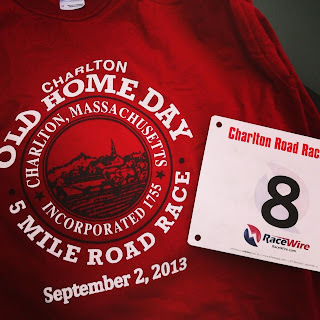 Monday, Labor Day, I got to run the Charlton Old Home Day 5 Mile Road race. Look at my low number!!!!! Still didn't place or win any awards, but I got 3 mins faster than my first year running this race. That alone is better than any award!... Next year I move up to a new age group (40-49). Now that will be interesting! This week I'm going to take a bit easy. My IT bands are acting up and now my left ankle feels achy. I plan or running 5-6 miles only on Wednesday or Thursday. Saturday I'm running Canal Diggers 5k. This is also the 3rd year I'm running this race and it also happens to be my 5k PR (20:33). 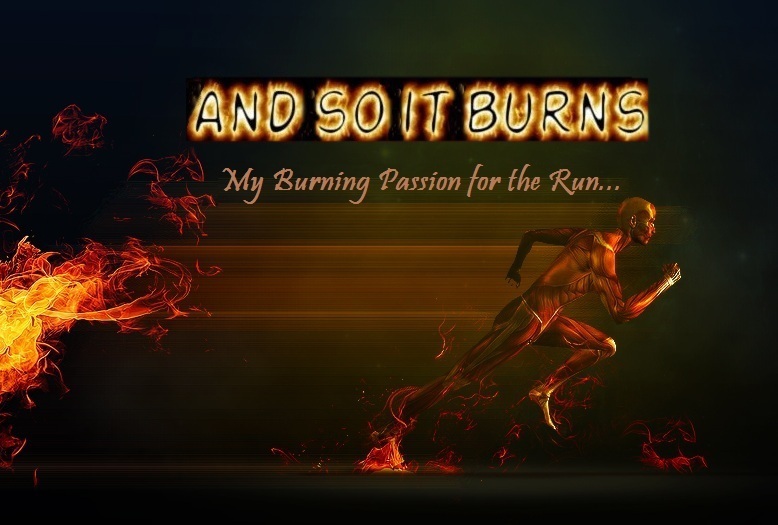 The day after I have to run a 21 miler as part of my training. I'm still unsure if I want to go all out and try to beat my PR or if I should take it easy and run with my my wife who is also running this race for her first time. Race season is in full effect..... what is your next race???! That is all for now.... hope you all had a great Labor Day weekend and a great week ahead of you! I have two races this weekend. 5k on Saturday and the run portion of the FirmMan in Narragansett. I am doing it as a relay. Kind of nervous. That's a bit rude to call you in the middle of your run. I wouldn't have my phone with me - not good if I have an accident but no one can ever interrupt me. Congrats on your great time. You're whittling down that time year after year. Great Job on loosing those 3 minutes!!! Sounds like a good weekend and I'm impressed answering a call in the middle of a run! !